mold and pop it in the oven. 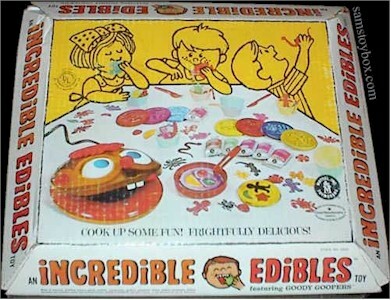 The result was soft rubbery candy in the shape of worms and insects. My brother and I played with this. I'm remembering that it came out AFTER we had our Vacuform toy. It was really fun to make the critters! BUT the taste was absolutely awful! 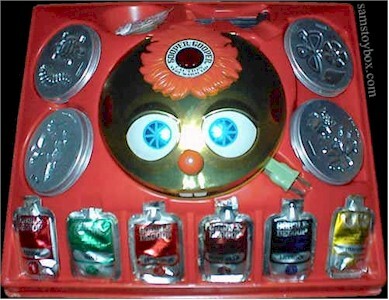 I'd love to see these toys in person again. I remember this. My neighbor had it.